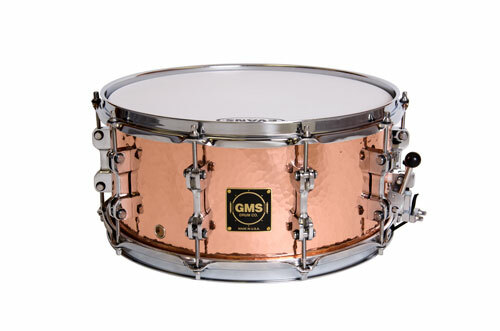 Hand Hammered Copper Snares | GMS Drum Co. 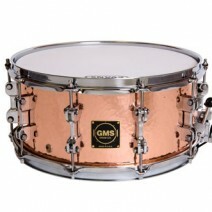 The GMS Hand-Hammered Copper drum is true work of art. 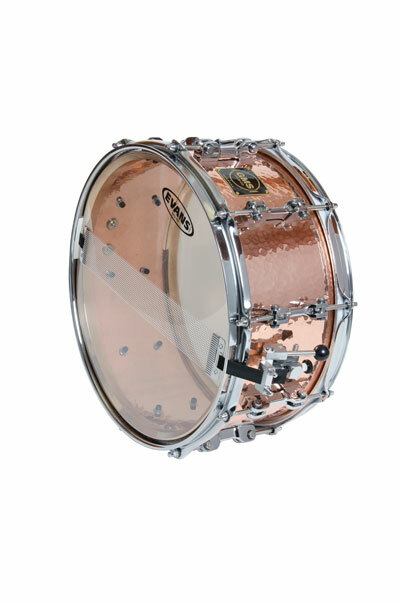 The shell is a hand-crafted thin copper body, capped off with solid machined brass bearing edges. It is then fitted with Special Edition lugs, and a hand-tooled Grand Master throw-off system. This drum produces a powerful, yet controlled sound like no other metal drum. 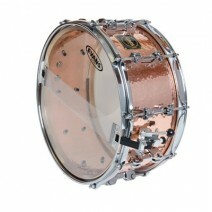 It does not have harsh overtones found in many all-metal drums, but has a metallic tone that is very pleasing. The brass rings provide a true focus to the attack and really round out the timbre of the drum. It is extremely sensitive, and reacts well at all dynamic levels; and by the way, it can be really loud!! If you are into heavy backbeats, or doing some cool brush work, this drum can cover it, and anything in between.